Lifewater has been drilling water wells in Africa for nearly 40 years, beginning with our first trip to Kenya in 1981. This year, we’re starting something new–the first-ever Lifewater operated deep well drill rig. Without it, bringing water to the rural hill country of southern Ethiopia won’t be possible. We’re committed to bringing an end to the world’s water crisis, helping the 663 million people still living without safe water. As we get closer to this goal, the work becomes more difficult. Lifewater has always served the poor in the remote, rural areas of the world, and now most of those still without water live in ever more remote places. 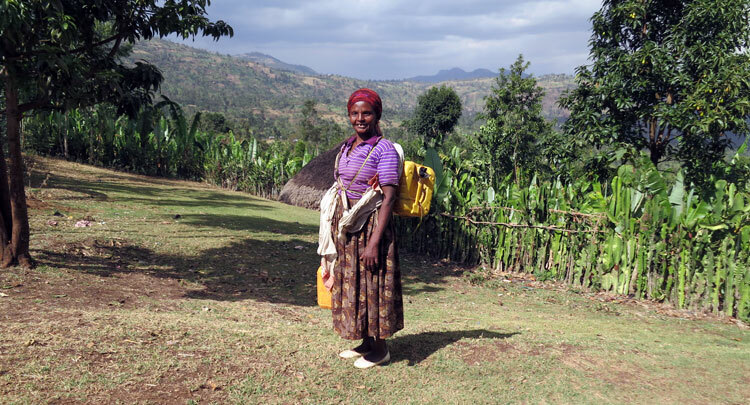 For people like Ifnesa, a grandmother in Bensa, Ethiopia, access to safe water is a daily struggle. Ilfnesa walks about four miles round trip to gather two 40-pound jerry cans of water for her grandchildren. She makes this two-hour journey multiple times throughout her day. In the rocky, dry areas of southern Ethiopia, hand-dug wells and protected springs are often not sufficient. A deep well is the only way to provide safe, clean water for Ifnesa and her family. In some areas where we are drilling water wells in Africa (such as Uganda), local drilling companies are available for hire. Unfortunately, that’s not the case in Bensa: the terrain is difficult and the villages are hard to reach, so drilling companies in Ethiopia won’t work in the region. Recently, Lifewater celebrated 40 years of serving the poorest of the poor in remote, rural areas. What was once a dream is now our goal: every child has safe water. This rig will help us in drilling water wells in Africa and is a necessary next step in achieving that future. Will you dig deep with us?